Ignis Scientia is a playable Character in Final Fantasy XV. Ignis was raised alongside Prince Noctis to be adviser to the heir apparent. An intensive education instilled in him the resourcefulness and composure required for the role, his tactical acumen proving invaluable over the course of the prince's journey. 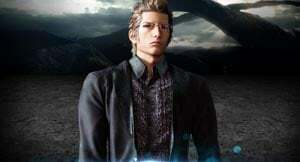 Ignis will be receiving a DLC that explores his story, called Episode Ignis.